How many times have you picked up a supplement bottle and read something along the lines of “take 1 to 4 pills, 2 to 3 times per day”? When you first start taking a new supplement, sometimes it takes a bit of trial and error to determine the optimal dosage for your needs. Often, the packaging or label can be rather vague about how much you should actually take. Luckily, our collagen protein powder is clear about both its contents and how much we recommend you use at a time. To be fair, the ambiguous nature of supplement dosage is often due to its use for multiple conditions or needs. Collagen supplementation tends to fall into this category as well due to its diverse uses. For most purposes, it is both appropriate and safe to take up to 30 to 40 grams of collagen peptides per day. However, dosages this high are typically excessive for most uses. 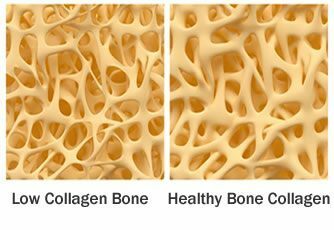 If you’re seeking pain relief from osteoarthritis, rheumatoid arthritis, or a similar condition, studies have found that hydrolyzed collagen dosages as low as 8 to 12 grams per day can provide improved plasma collagen levels and symptom relief. One study concluded that 10 grams of collagen peptides taken as part of a fruit-based beverage were significantly more successful in decreasing the depth of existing skin wrinkles in middle-aged women compared to placebo after only 9 weeks. Another study found that dosages as low as 2.5 to 5 grams per day for 4 weeks were successful in increasing skin elasticity in elderly women. Other studies have shown that higher dosages (up to 40 grams per day) for 90 days are appropriate and useful in improving joint flexion and extension in people with a history of arthritis. Participants in the test group receiving supplemental collagen also reported a significantly later onset of joint pain during exercise after 120 days of supplementation. While supplemental collagen is safe for just about everyone, taking collagen peptides at excessive dosages is not recommended. Collagen supplements can cause minor side effects such as heartburn and bloating. Additionally, if you’re prone to or have a family history of kidney stones, collagen may increase your risk of developing stones. In general, we recommend starting at a low dose (perhaps 5 grams per day or less) and gradually increase your dosage until you find a level that works for you. If you choose to consume collagen supplements in a beverage formulation, make sure you are aware of its nutritional information. While collagen itself is relatively low-calorie, calories can add up quickly when combined with other ingredients, and you should take this into consideration if you are looking to lose or maintain your weight. If you’re watching the scale, Naked Collagen is perfect for you, at just 35 calories per serving. While it would be great if everyone was as upfront about their supplement contents as we are about ours, some collagen supplements can include chemicals and impurities that do not belong and can accumulate in your body. These contaminants can include heavy metals, steroids, parabens, and even antibiotics. If these chemicals are a concern for you, do proper research prior to purchasing a collagen supplement, and select an additive-free collagen. Similarly, if you have food allergies, make sure you purchase a supplement that is appropriate for your needs. Some collagen supplements contain fish, shellfish, or egg components, which may prompt allergic reactions in those who are susceptible. How Long Can You Take Collagen Supplements? Unless you’re under the supervision of a doctor and taking collagen specifically for a medical condition, you typically don’t need to continue taking collagen supplements indefinitely. Depending on the reason why you’re taking it, you may only need to use a collagen supplement for a few months up to a year. By taking collagen, you’re essentially building up your body’s collagen and protein stores, and once they’re fully stocked up, anything beyond that amount will be excreted from the body in your urine. Pay attention to how your body feels and any changes you’ve noticed, and continue to supplement or discontinue accordingly.